Vancouver area in general has 2 sides, East and West side of Vancouver. East side mainly starts at Ontario and goes towards East, Main, Fraser, Knight, Victoria and so on. 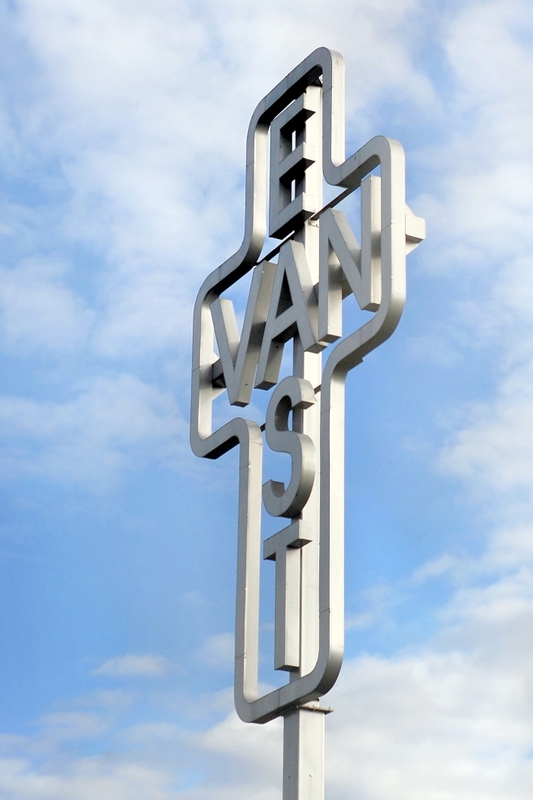 This East Van iconic cross is situated around Clark Dr and Northern Way area, this cross dates all the way back from the 1950's and was believed to be a powerful embodiement of the sufferings and hope of the neighborhood during that time. Ken Lum is the artist who designed this monument.